” Spring Cider ” is an original culinary themed still life watercolor. It is painted in the realist tradition. 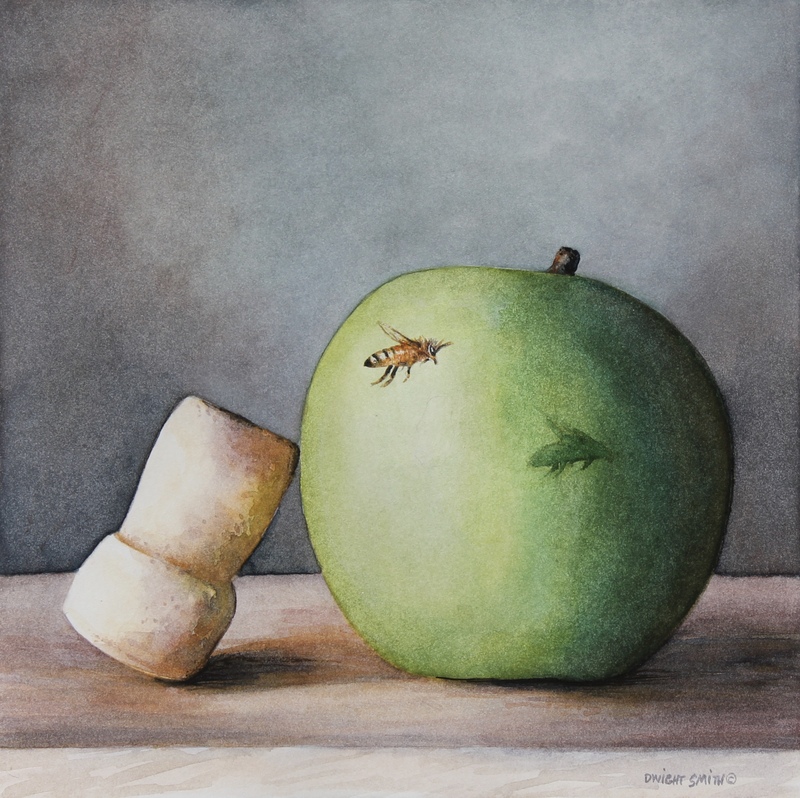 A Grannysmith apple has a cork resting on it with a bee flying by.